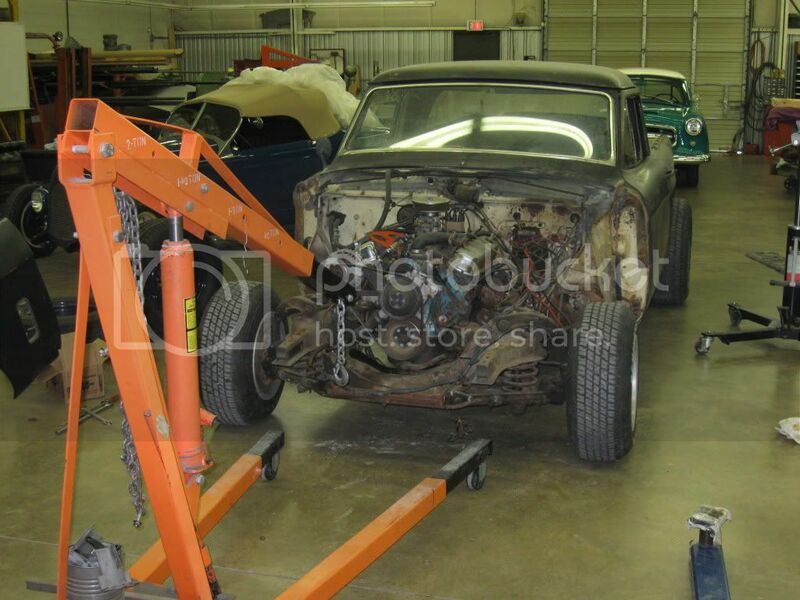 After a slow winter we are just beginning the disassembly. 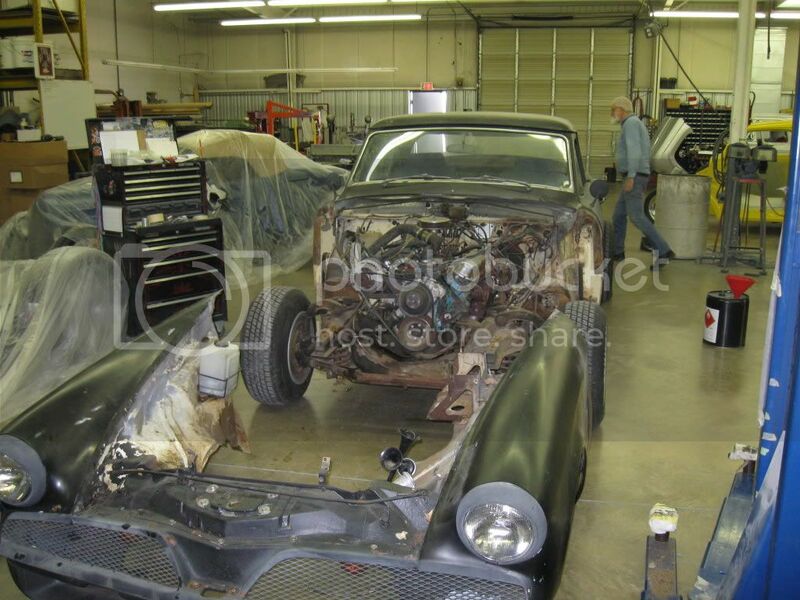 We have ordered the front end, rear end and all brakes and suspension. Monday we will order all the frame and cage tubing. 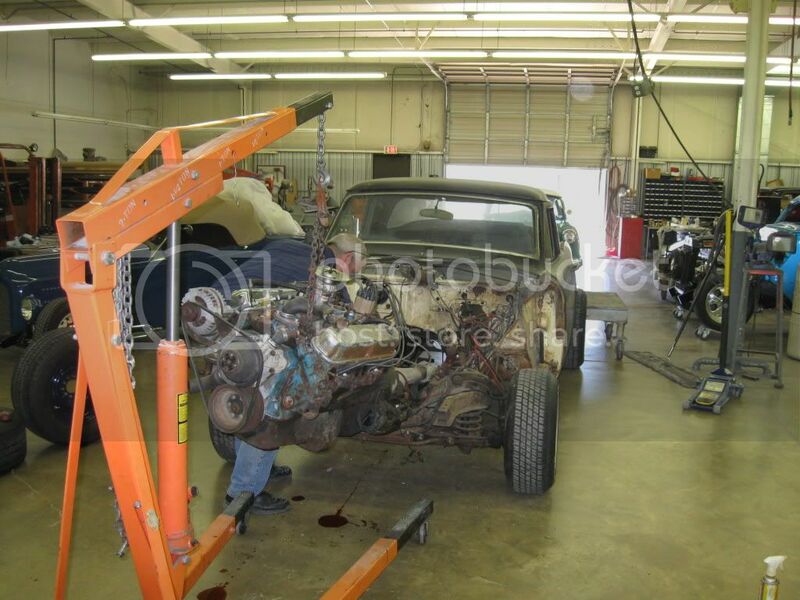 Hope to get the rest of the body off and to the media blaster next week. Then we will use the stock frame as a guide to build the new one. 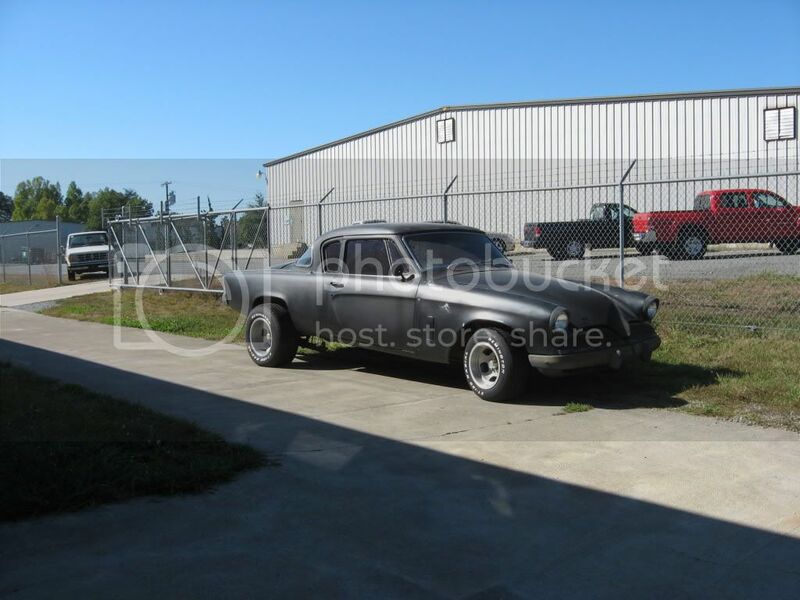 How the 53 Studebaker Champion drove in to the shop. 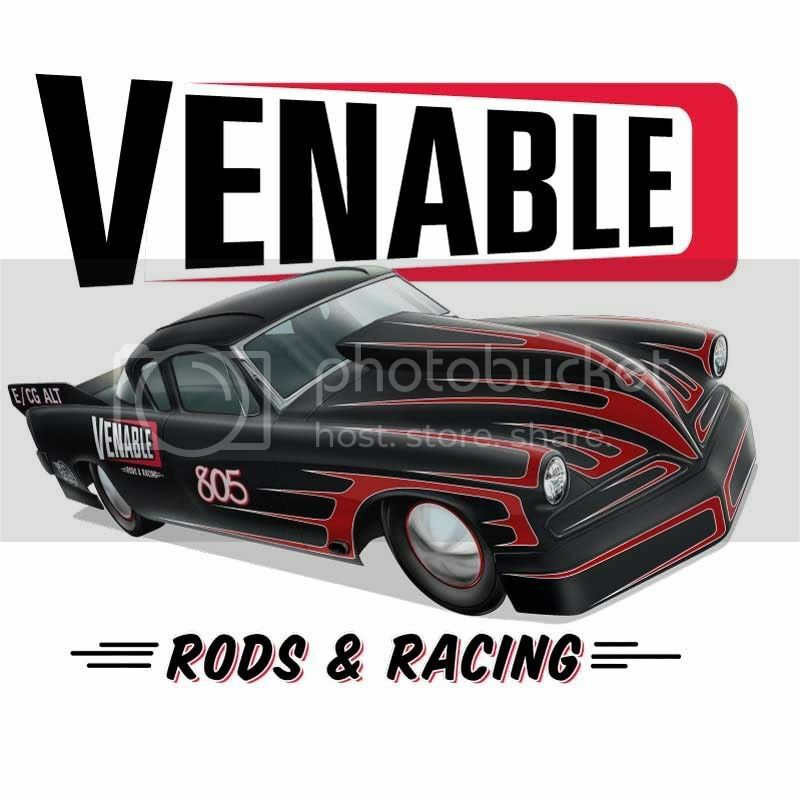 Re: Venable Rods and Racing - Studebaker Begins, Finally !! Hey Charles. Looks great. I love the big tires. Looks like you have your work cut out for you. See you in a couple weeks. Eric, let's hope for 65 degrees and 2 MPH tail wind in 2 weeks,, see you then. 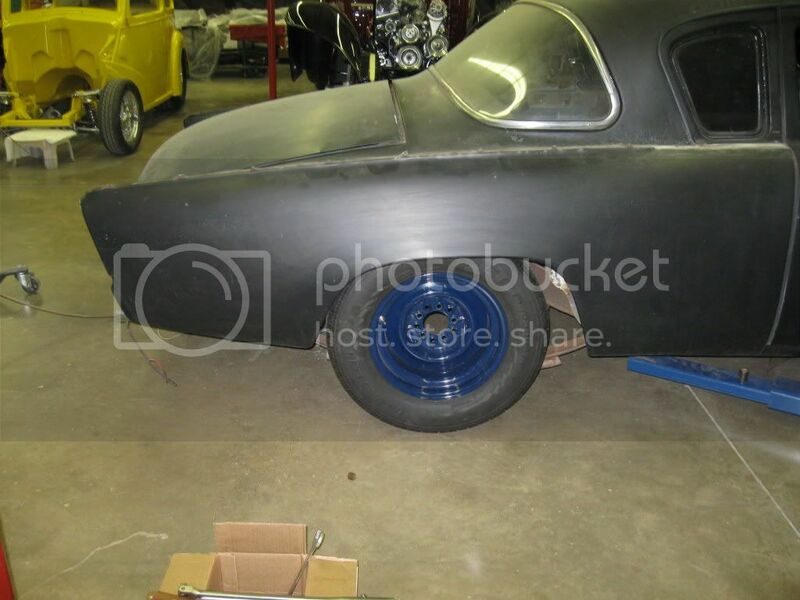 Notice the blue wheels we used to mock in for rear end measurement ? These are the wheels we used on the Vicky for her first meet, before I got the red ones and the moon discs put on.. For Maxton, they seemed to work well... For the salt, I will need much better tires. You mean your not going to run the fancy XT120 radials that came with it ? 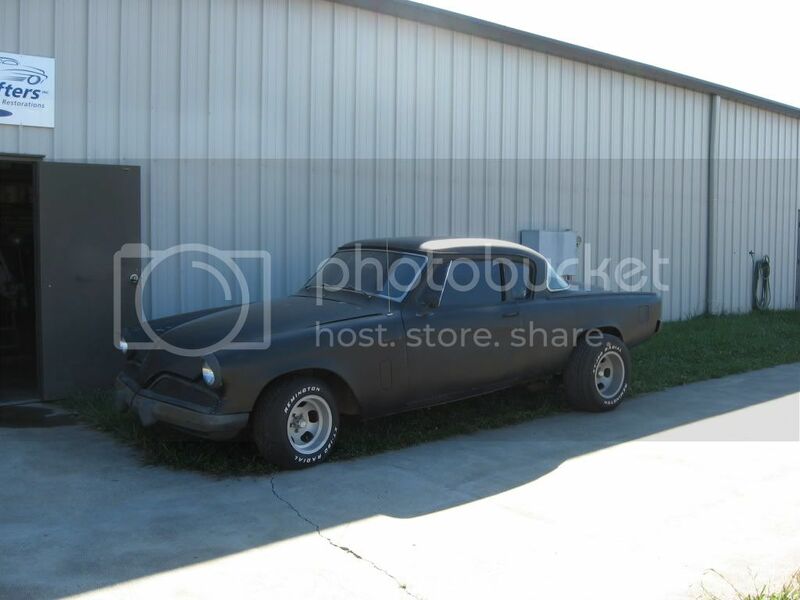 I think those wheels and tires are mid 1970's era ? As well as the extra wide rear end and rear air shock and rake? 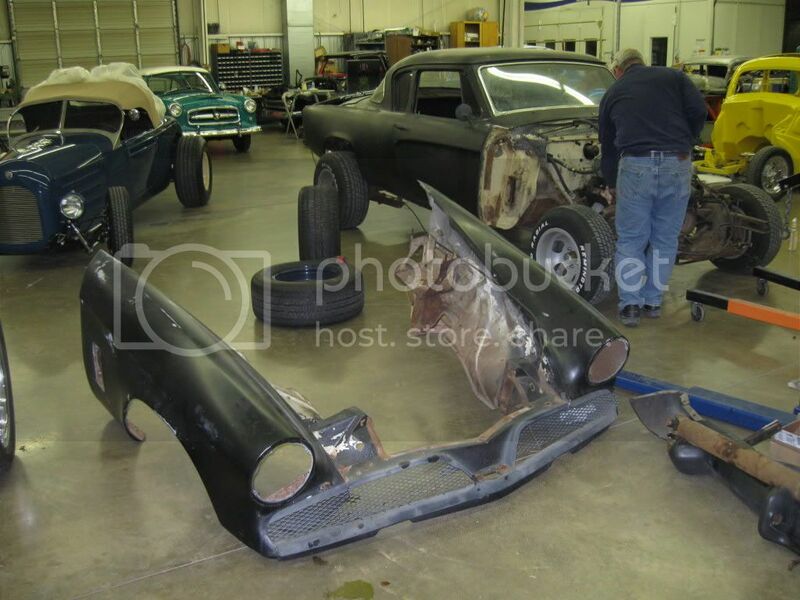 Very nice CK, if you use the trailing arms with a nice low stance does that mean notching the floor? What's the specs again, E/CALT? That looks like a great project Charles. Since I'm not a "car guy", I really look forward to build diaries like this as I learn something every step of the way. Thanks, keep'em coming. Is the rear axle set back from stock? I think the center of the wheels should be in the middle of the wheel well. 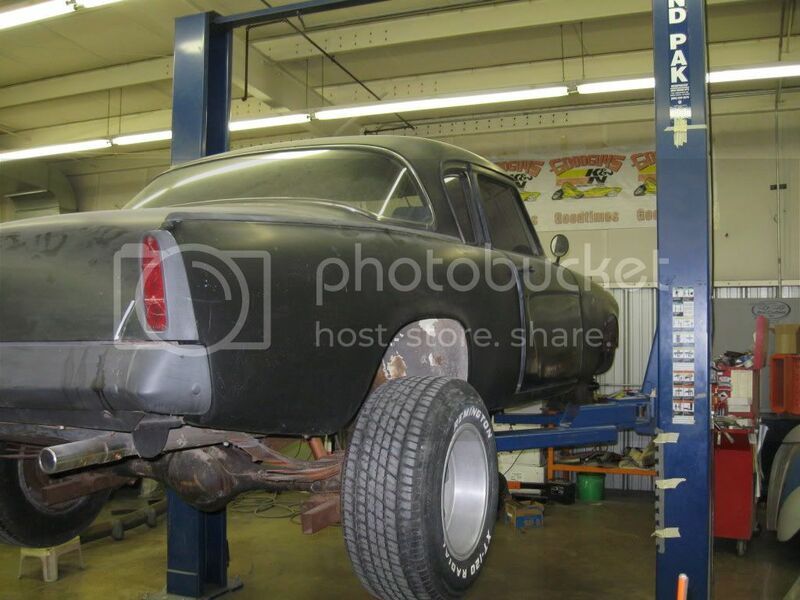 DW,,, look close, there is no rear end in the pics with the blue wheels... we just put them under the car and lowered the body to check clearence and get a rear end width. 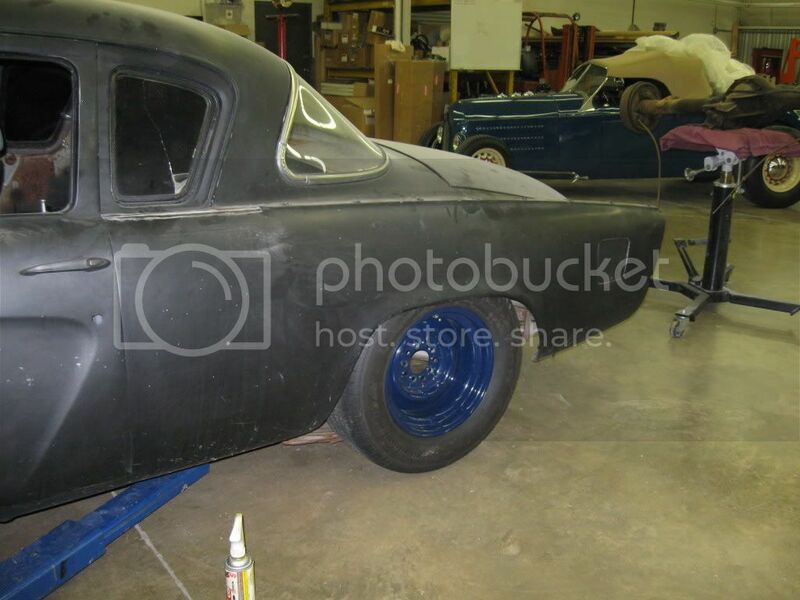 But you are correct, the wheels should and will be centered in wheel well,,to original wheelbase specifications of 120.5"
But from my "understanding" running "altered" is like "modified" and we can modify the trunk and rear floor ? 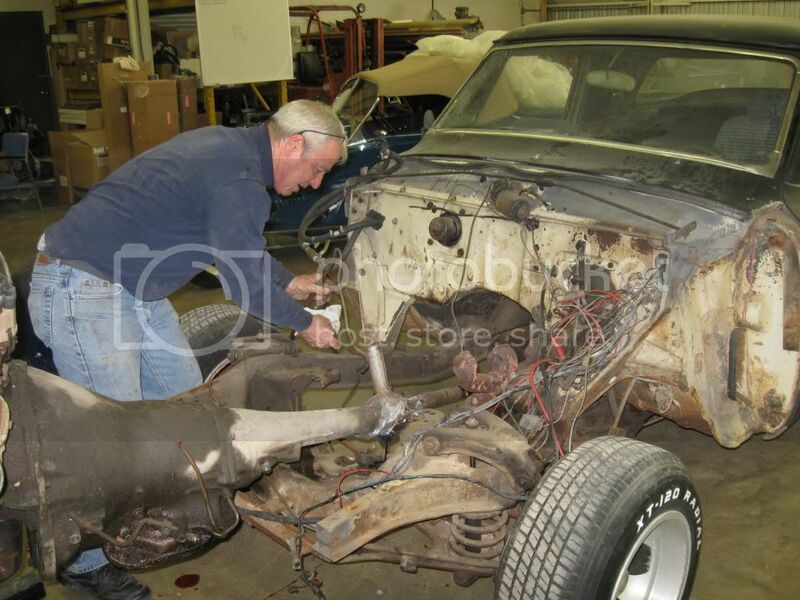 Ok Charles, I thought that may be the the deal with the rear end.